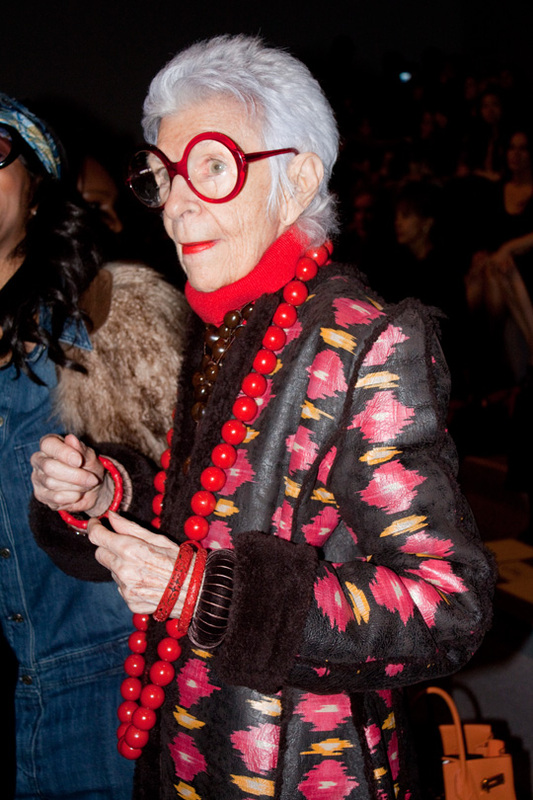 I heart Iris Apfel utterly. 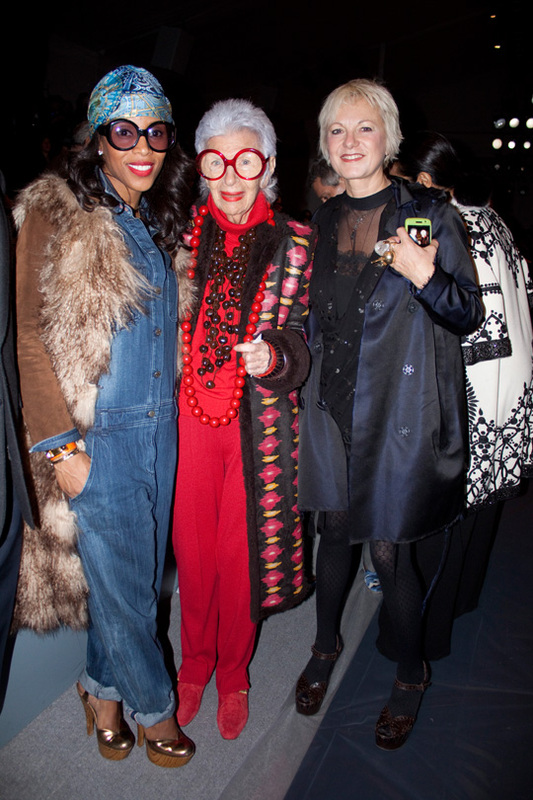 So just cause I have albums full of pictures I took at NYFW and didn't get a chance to post it yet, I am taking it easy this week and posting some that I think I must. Had a fab weekend doing nothing extra ordinary but just having fun with friends. Hope all you guys had a great weekend too. BTW, Thank you all for reading my blog. This past few weeks I have received an overload of love from the most remotest of places and people and I am truly humbled. I am just having a great time expressing myself through this blog. So great to know that so many people are enjoying it as much as I am. BIG THANKU. mi completely in love with jay!!! Impressive selection of the beautiful people. Keep them coming. the last man has an AMAZING bleach hair,... cool! Come here lemme kiss you now! Love love love the Naeem Khan dress! My kinda stuff. 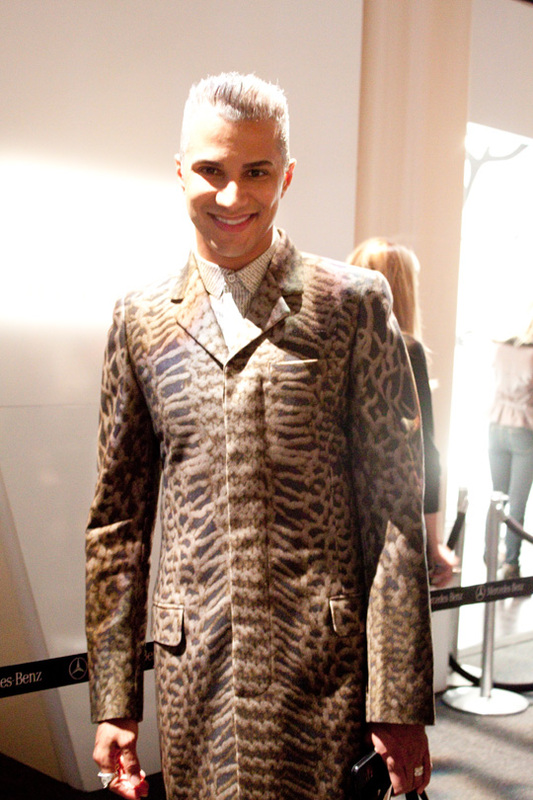 Oh my god Jay Manuel! I am so jealous of that. I love his coat as well, hes so cute and camp with his man bag. the big sunglasses are just too great. I'm having a $100 dollar Shopbop giftcard GIVEAWAY on my blog! Come check it out :) It's open to international bloggers as well. what pictures// love them all..
Mr. Jay is the reason I continue to watch ANTM. Him and his silver hair. wah!!! photobucket is playing tricks on me! Copyright @ Don't Shoe Me and the Photographers. All Rights Reserved. No part of any information or images located within this site maybe reproduced, stored or transmitted without permission of the Copyright Owners. Experimental Fashion blogger who loves to create tiny stories through fashion and pictures. Normal is too boring. Always looking for super creativity on the street and I try to incorporate the same in my own style. I really don't care for normalcy. All Images are copyright of this blog!